Our fantastic wellness area, including our sauna world and the 17-metre-long infinity pool, is the perfect place for spending some relaxing hours away from everyday life. Take a refreshing swim in our natural swimming pond, get a healthy tan in our spacious garden worlds, let yourself be bewitched by the perfuming vapours in our Aufguss sauna and enjoy the stunning views at our hotel. In addition to that, we offer a variety of massages and beauty treatments that will make you feel and look all new and as fresh as the mountain air. Water world: daily from 6.30 a.m. to 7.30 p.m.
Sauna world: daily from 11 a.m. to 7.30 p.m.
Sesvenna Spa: daily from 11 a.m. to 7.30 p.m.
Infinity Pool & Panoramic Sauna stay open until 11 p.m. Dive in our heated infinity pools or swim in our natural pond in the garden. Surface to be stunned by the mountain views which you can enjoy directly from the pools. Sweat, cool down and finally relax in our rest rooms, which offer great views on the surrounding mountain worlds. 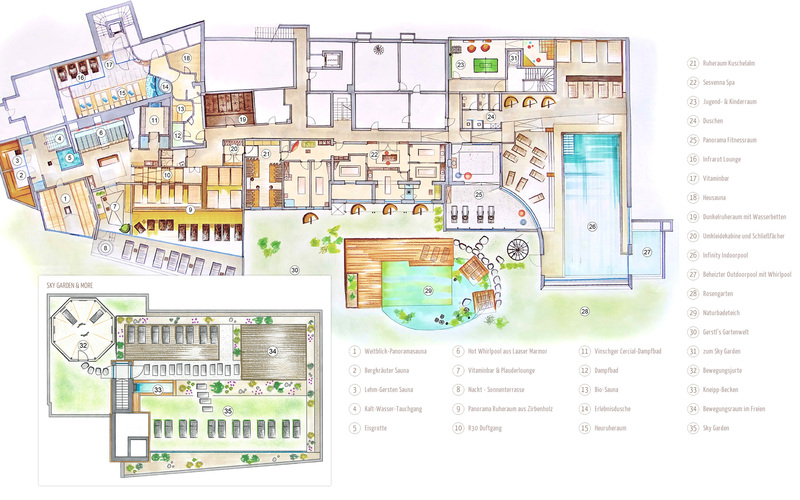 Families appreciate the separate family sauna area and textile sauna. Our gardens are a true oasis. Experience the revitalising energy of our natural pond and enjoy the sun on our comfortable sun loungers. If you are the sporty type, you will appreciate the wide range of fitness activities available at our hotel. Our fitness trainer will gladly assist you in your training programme. Should you wish to train on your own, you can use the well-equipped fitness room self-responsibly. Pamper your body and your soul with relaxing massages and beauty treatments at the Alpin & Relax Hotel das Gerstl. Break free from your daily routines and duties and allow yourself a short timeout to recharge your batteries. 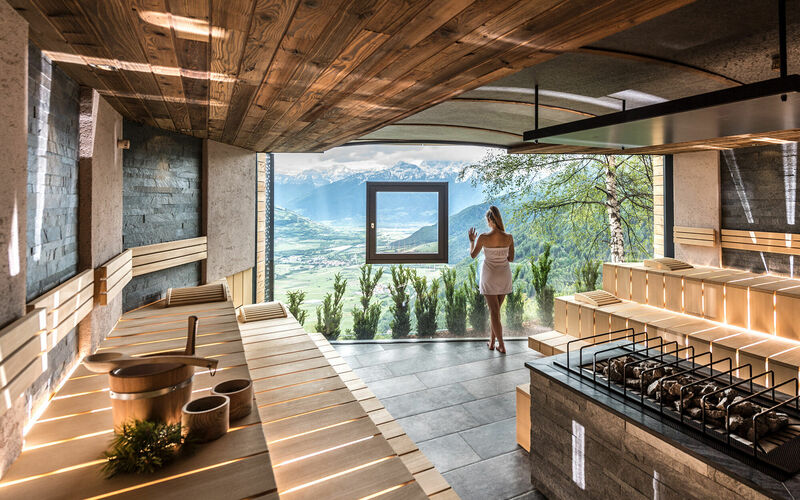 Spend a relaxing day in the wellness world of Alpin & Relax Hotel Das Gerstl. Book your day spa now! We will let the images speak for themselves. Get a first impression of what our hotel has to offer in its fantastic wellness area: indoor and outdoor pools, a natural pond, an inviting sauna area and various rest rooms for relaxation. Experience wellness at its finest!